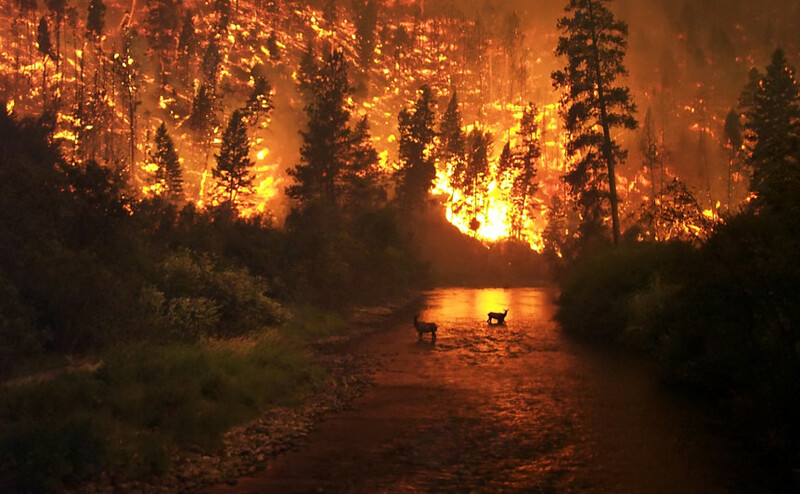 Wildfires in California are a yearly occurrence and they typically start out as forest fires away from populated areas caused by lightning, sparks from rock falls, or spontaneous combustion. The size and intensity of wildfires is determined by the cause and other conditions such as dryness and combustible debris and this season the wildfires have been raging. All over California, wildfires have been getting close enough to homes to cause evacuations as well as property damage and the heat and smoke can cause adverse health reactions as well. Residents in the San Francisco area have been at risk this season for damage from wildfires and these wildfire safety tips will help you protect your home and property from damage. This is a very important and easy first step that can save your property extensive damage when a wildfire gets near. Flammable debris such as firewood, dry grass, and brush should be removed from your yard and homeowners should even consider removing wooden decks or fences as they can also start ablaze from wildfires. Clearing your property of this debris will reduce the risk of fires or spontaneous combustion on your property and if your yard is clear, it will be easier for firefighters to protect your home if the wildfire is approaching. Eaves and vent openings are important for air circulation in your home but if they are wide open, fumes, smoke, or embers from a wildfire can get into your home and cause problems. It is important to put screens over the eaves and vent openings to keep out flying embers that are a threat to cause a fire in your home. Removing leaves and other debris from your gutters can also help prevent fires from the embers. The roof and siding of your home are vulnerable to catching fire from the heat or direct contact of a wildfire which makes it very important to use fire resistant materials. Tile and steel are the safest options for roofing but the roof should at least have a Class A fire rating and certain asphalt shingles fall under this rating. The best options for siding are fiber cement and stucco as shingle and wood siding should be avoided. Certain windows allow intense heat from the wildfire inside the home that can actually cause the drapes and even furniture to catch fire. There are drapes available in more fire resistant fabrics that can help reduce this risk and smaller tempered window units are less likely to break from the intense heat. You can also add more effective wildfire protection to your windows by installing non-combustible shutters on the outside of your home. If you are building a new home in the San Francisco area, it is wise to build the house and arrange the property in a way that maximizes fire resistance. Incorporate fire resistant features into the home itself and make sure your property is easily accessible for emergency vehicles. You should also chose a safe location to build your home as building it in an area with a lot of trees or on a hilltop puts it more at risk. A standing water source such as a pond can also help make your property more fire resistant. As the wildfires in California continue to rage on, residents in vulnerable areas should prepare their homes with these wildfire safety tips. 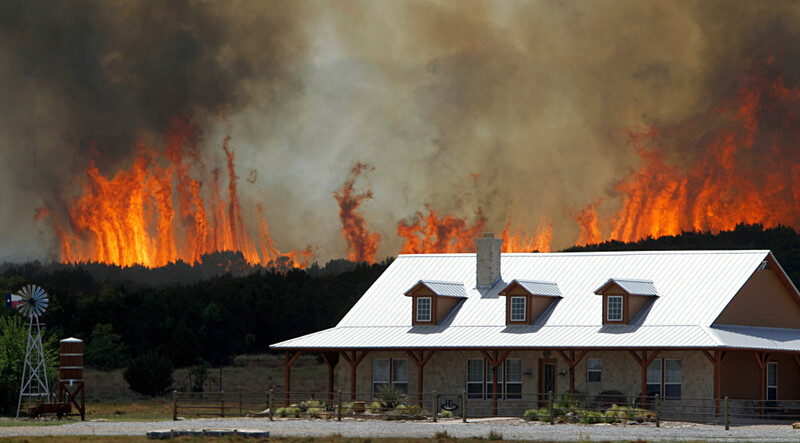 Taking these steps for wildfire protection while there is no threat can help save your property from serious damage when there is a sudden threat or need to evacuate. 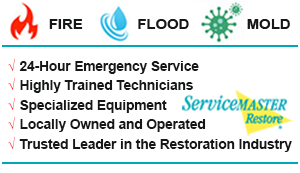 If your home does sustain damage due to the wildfires, contact the professionals of ServiceMaster Disaster Restoration and Recovery right away. We provide complete fire damage restoration services to help repair and restore homes and businesses in the San Francisco area that have been affected by wildfires. 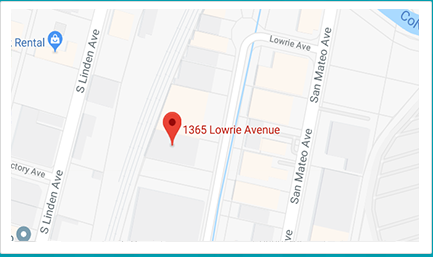 You can contact us online or call us 24 hours a day at (800) 439-8833 for fire damage emergencies in the San Francisco Bay Area.